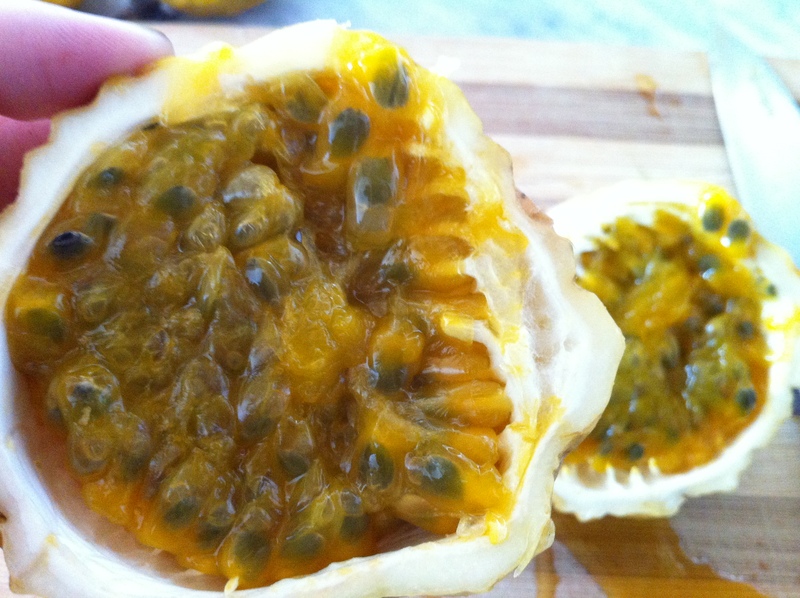 I am in love with maracuyá, aka passion fruit. I think most people like it. Part of the allure for me now is the name. It’s really fun to say in spanish. 🙂 Like quail eggs, maracuyá can be an exotic fruit for Americans, but down here it’s pretty common and fairly inexpensive. My first encounter with the fresh stuff was a few years ago when we travelled to Ecuador to visit some friends. We were spoiled and were treated to fresh maracuyá juice every morning. 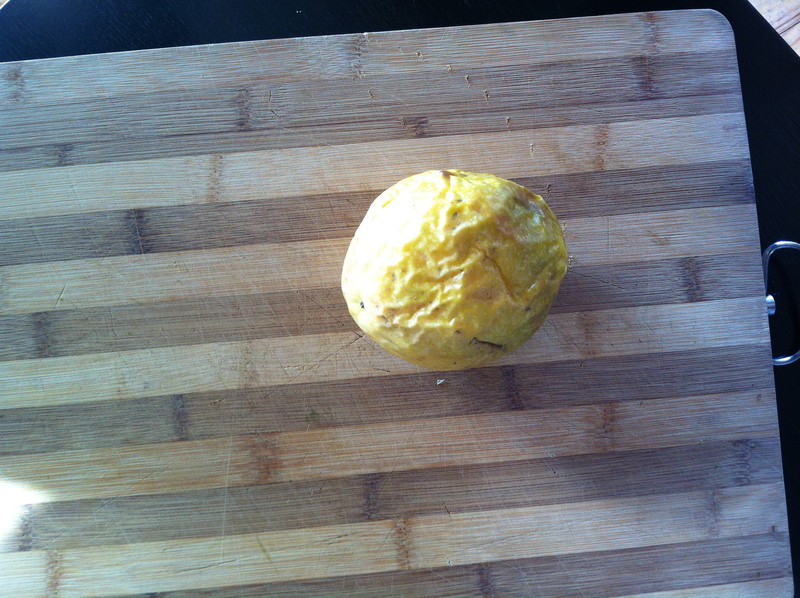 But I never saw the insides of the fruit and had no idea how to pick one out. So I’m going to share with you what I’ve learned about maracuyá, the very strange looking, completely delicious fruit, and one of my favorite ways to enjoy it. When I first picked up a maracuyá, I wasn’t sure if it was good and I thought it was empty. The shell/peel/whatever is a really light styrofoam-y type of substance that tends to get pretty wrinkly once it ripens. So all the weight of the fruit comes from the fruit filling itself. The unripened fruit will be smooth, hard, and tinged with green. To pick out a good maracuyá just look for the heaviest ones, these are the most likely to have the most fruit, that aren’t hard and green. Slightly creepy looking. I seriously wonder who the first person was to try these odd fruits. I would be terrified. Although, thinking about it now, people probably saw animals eating it and figured it was safe to eat. Anyway, I digress. The inside reminds me of the pomegranate – the seeds are encased in the fleshy fruit. All you do is is cut it open and scrape out the insides. What’s left, and you can kind of see it here, are little white soft spikes. That’s it. That’s what I know. Not too darn much, but it’s not really a complicated issue. You can enjoy maracuyá in many ways. 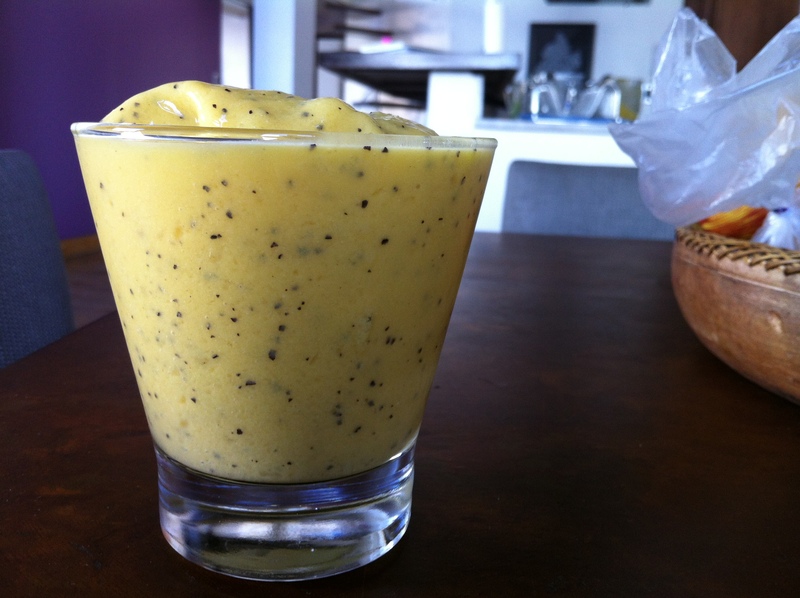 Juice, smoothies, blend it and strain it to make a sweet sauce (would be good on pork chops! ), add it to cocktails, make a dessert. We recently bought some maracuyá licor. Really yummy. This is one of my favorite ways to drink it. Jesse and I have been working out lately and drinking smoothies with some protein powder is a great way to get the necessary proteins. You can, of course, remove the protein powder and it would just be a yummy healthy smoothie. 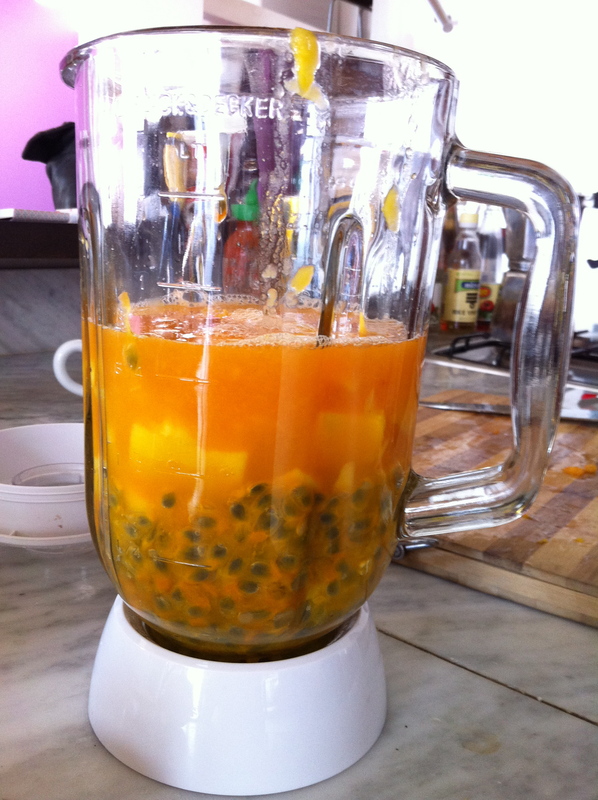 Add everything but the ice to the blender and blend away. Add ice until it gets to the desired consistency. If you used frozen yogurt, you wouldn’t need as much ice. There’s not a whole lot of frozen yogurt here and I like to keep it as healthy as possible. And voila! You have a healthy satisfying snack or dessert. I will definitely be missing the easy access to maracuyá when we go back to the States.